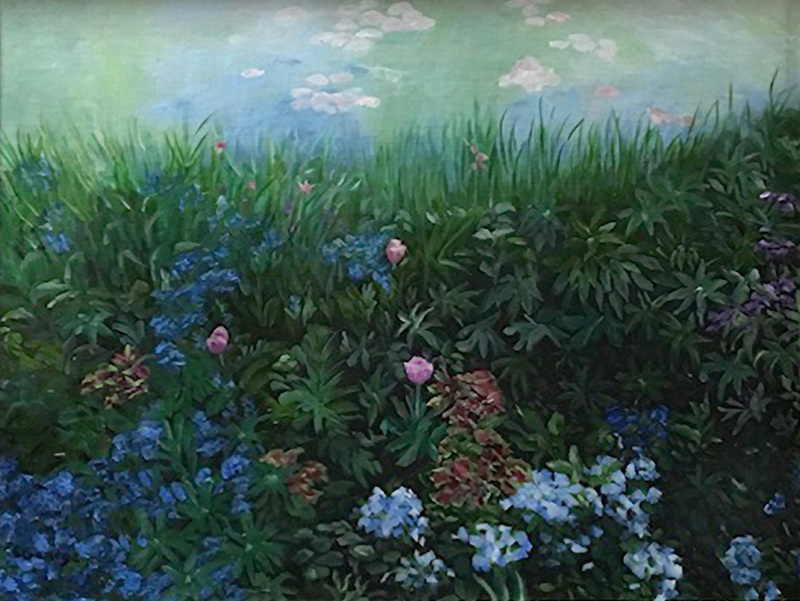 The image below is Giverny Garden, included in the collection of the Jackson Hospital Foundation. 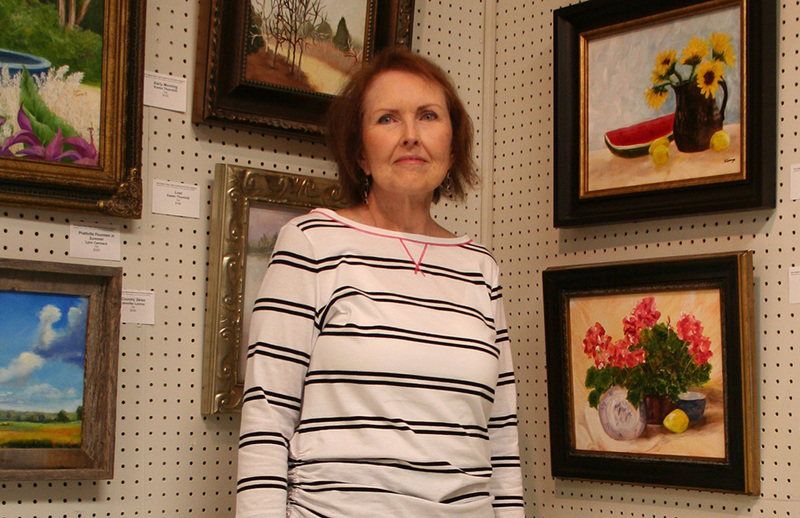 Sherry K. George, a Prattville, Alabama artist, has been a member of the Elmore County Art Guild for about four years. She primarily paints in oils with a focus on landscapes. Sherry grew up in Prattville, but spent much of her early life with family in the countryside near Titus. She feels this life experience influenced her love of country landscapes. 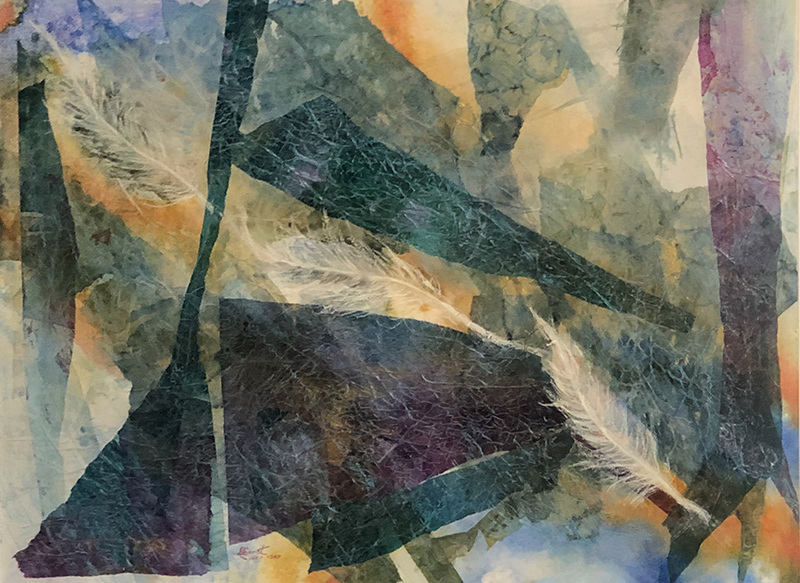 Sherry started as a self-educated artist who only painted occasionally until her retirement in 2013 when she seized an opportunity to take classes from some wonderful local artists including Barbara Binford Davis, Sandra Hicks Larson and Alisa Koch. George has also attended workshops at the Art of the Carolinas in Raleigh, NC. She is looks forward to continuing to hone her painting skills by attending the Alabama Art Colony at Lake Martin in October of 2018. 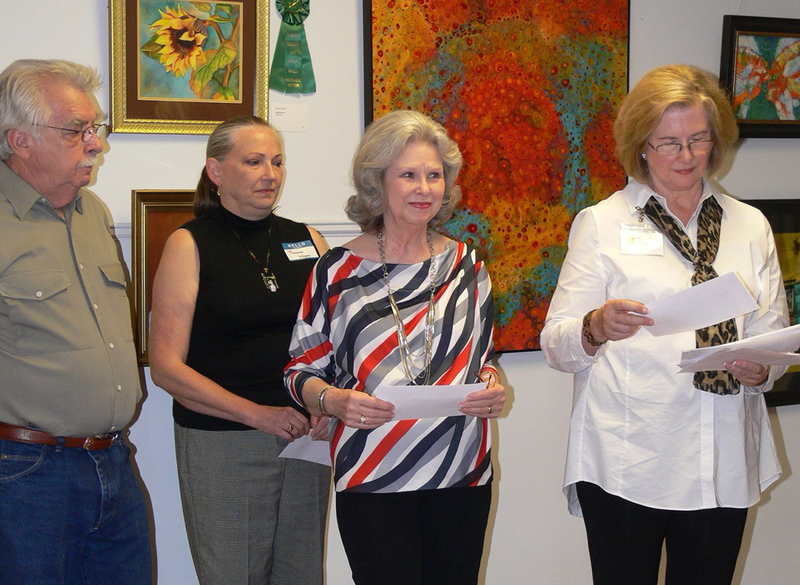 Sherry has participated in numerous art competitions and exhibits throughout the River Region. She will be participant in the River Region Artists’ Exhibit at Montgomery’s Anita Folmar Gallery in September 2018. George has received a number of awards including honorable mention, merit, second place and purchase awards. 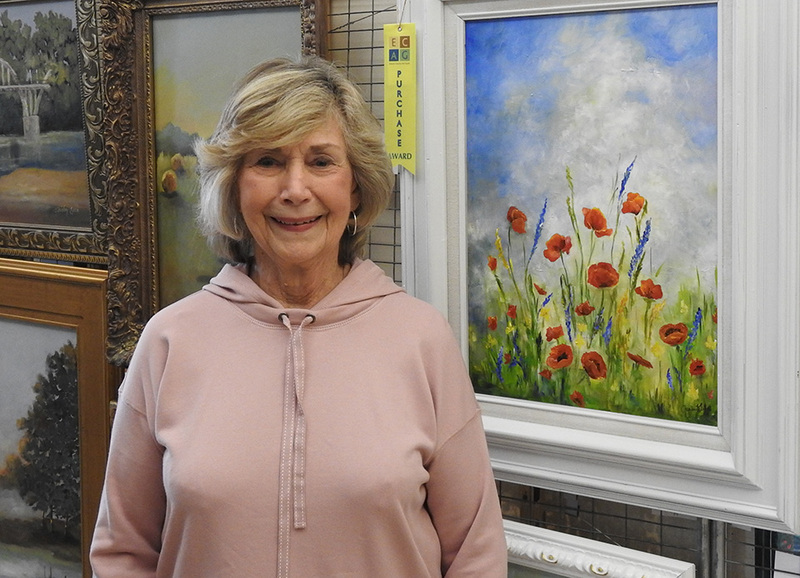 Her painting titled “Giverny Garden” won second place at the ECAG 2016 Annual Show and was purchased by the Jackson Hospital Foundation. That painting is now on exhibit at Jackson Hospital in Montgomery.